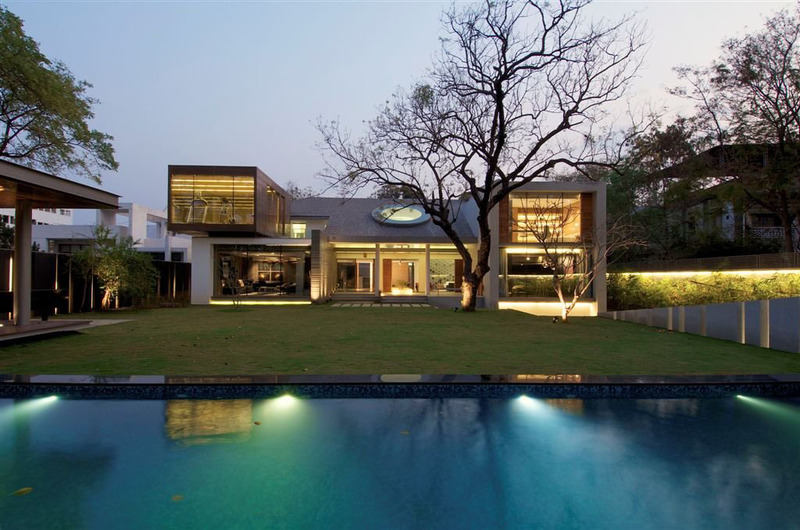 Rajiv Saini & Associates designed this contemporary home in Hyderabad, India from an older house. The original house was built by the previous generation with Victorian columns and grand circular staircase. The new look of this 12,5000 sq. ft. home is sleek modern with a natural palette.